February | 2014 | Rebecca Mendelsohn, Ph.D. 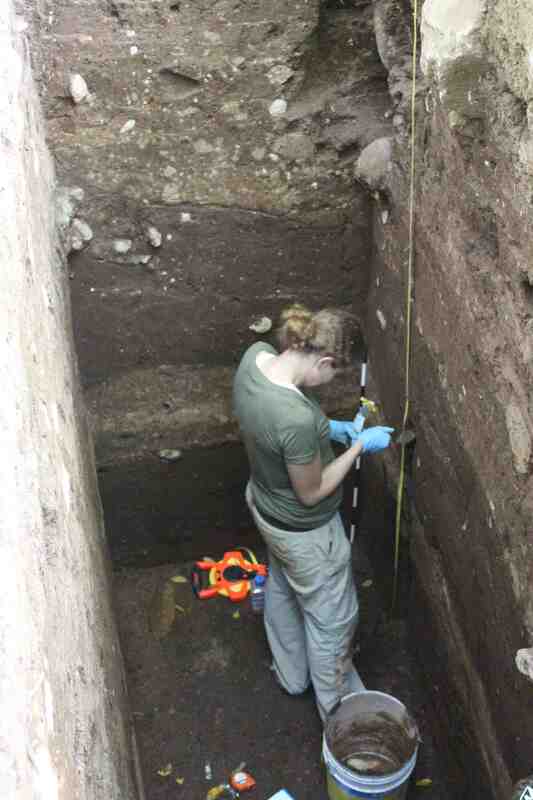 This week we began flotation of soil samples in the lab in the search for macrobotanical remains. 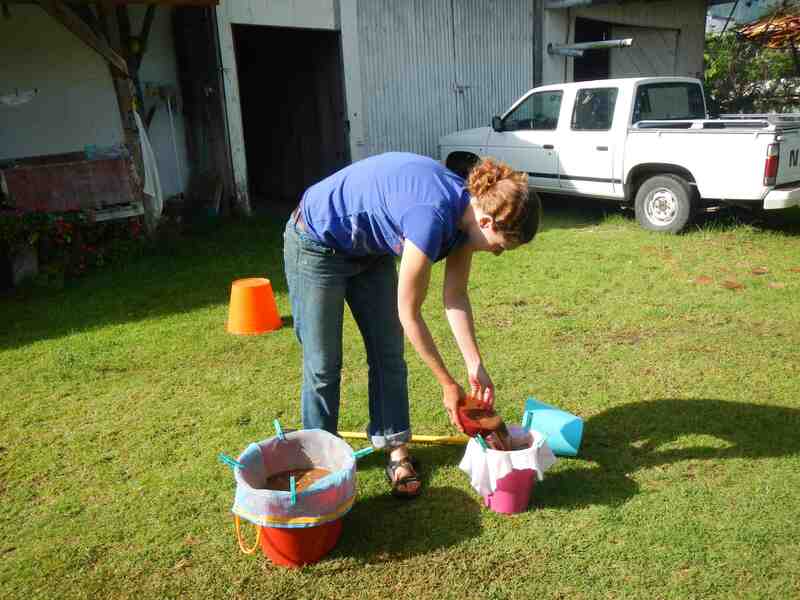 We are using a simple bucket flotation technique, using the methodology I developed this past summer using soil samples from the Izapa Regional Settlement Project (director, Robert Rosenswig) excavations at Izapa. Three TV news crews stopped by this week for updates on the project. 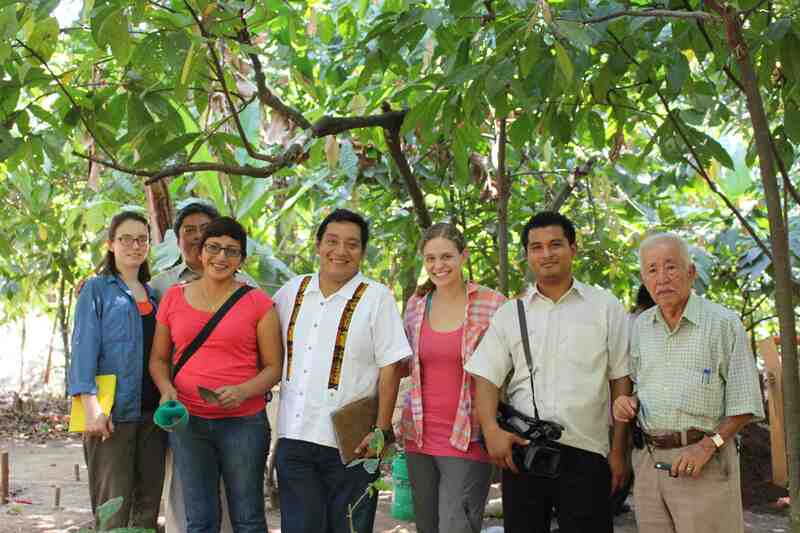 We were told an update on the project should air on TV Azteca at 11:15 on Monday, February 17th. We completed one of our deepest units this week, which closed out at approximately 3 meters in depth, before reaching culturally sterile soils. The unit has great stratigraphy, with visibly distinct occupation levels. Capitalizing on the great stratigraphy of this unit, we took our first column samples for future pollen, starch grain, and phytolith analyses. The goal of these samples is to document how Izapa’s land use and environment may have change throughout the different periods of the site’s occupation. Our column sampling methodology was developed based on the recommendations of Iran Rivera, director of the pollen laboratory at ENAH (Escuela Nacional de Antropología e Historia). 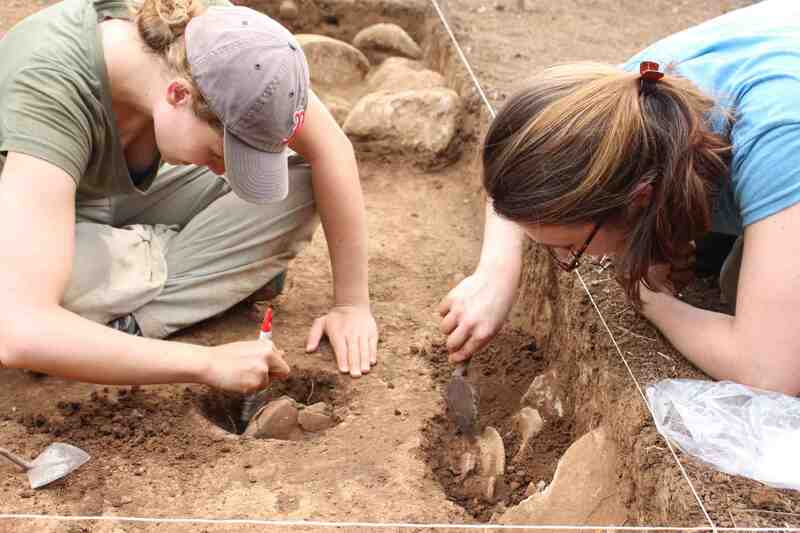 Things are continuing well with excavations. This week in the lab we also started taking starch grain samples of some of our groundstone pieces. The process of starch grain sample extraction was taught to me this past summer by Jorge Cruz Palma, a graduate student in the Instituto de Investigaviones Antropológicas at UNAM (Universidad Nacional Autónoma de México). 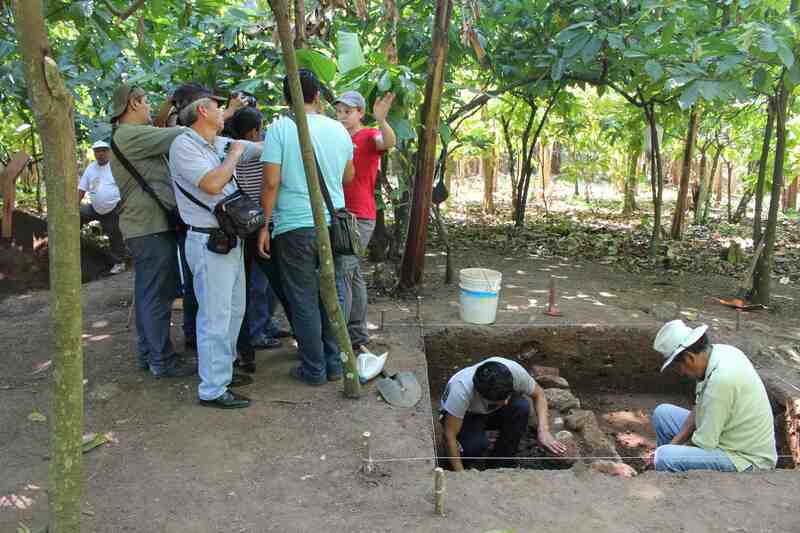 Samples were taken from artifacts from the 2012 excavations at Izapa and the nearby site of Don Hermelindo, collected as part of the Izapa Regional Settlement Project, directed by Robert Rosenswig at the University at Albany, SUNY. I spent this fall at UNAM studying the results with Jorge and his advisor, Dr. Guillermo Acosta Ochoa. We were excited to discover that starch grains do preserve- even in the moist environmental conditions of the Soconusco piedmont and on artifacts that had already been washed! In preparation for this season’s excavations, Jorge and Dr. Acosta also advised me on the best in-field collection procedures for starch grain samples. Our press coverage also continued. This week I joined a radio station in the nearby town of Cacahoatoan as a guest on their hour-long Thursday program. We talked about the archaeological process, the problem with looting, the goals of the Izapa Household Archaeology Project, and Izapa’s role in greater Mesoamerica. At one of our newest units we’ve uncovered a wall. By the end of the week we identified 4 courses of stones. The verdict is still out on what time period it dates to, but we have collected a number of carbon samples, which should help us to narrow down the date of the structure. We found our first mystery artifact from the excavations. It’s a thick brick-like ceramic piece. It is flat on one side. On the other side it has an impressed design (possibly from a basket), evidence of burning, and a broken piece that extended out of the center. The sides, widthwise, are both flat and show no evidence of being broken, which would we expected if it were a fragment of a ceramic vessel. 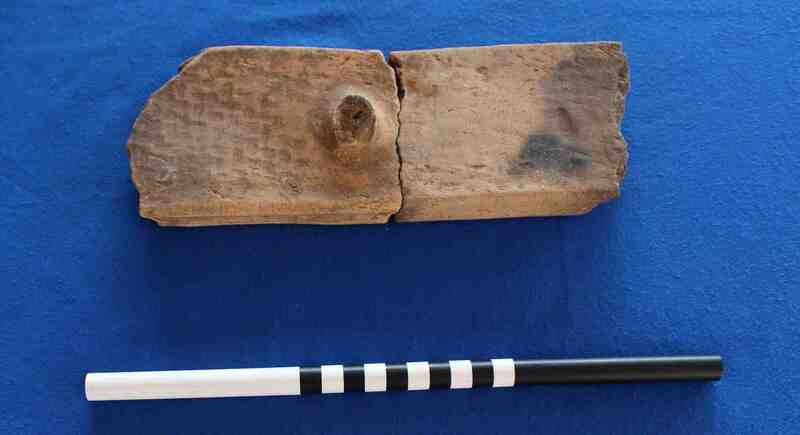 The sides lengthwise have both been broken, suggesting that the artifact was once longer. The piece comes from a suspected domestic context, but so far we haven’t been able to come up with a proposed use that we are happy with. Any ideas?